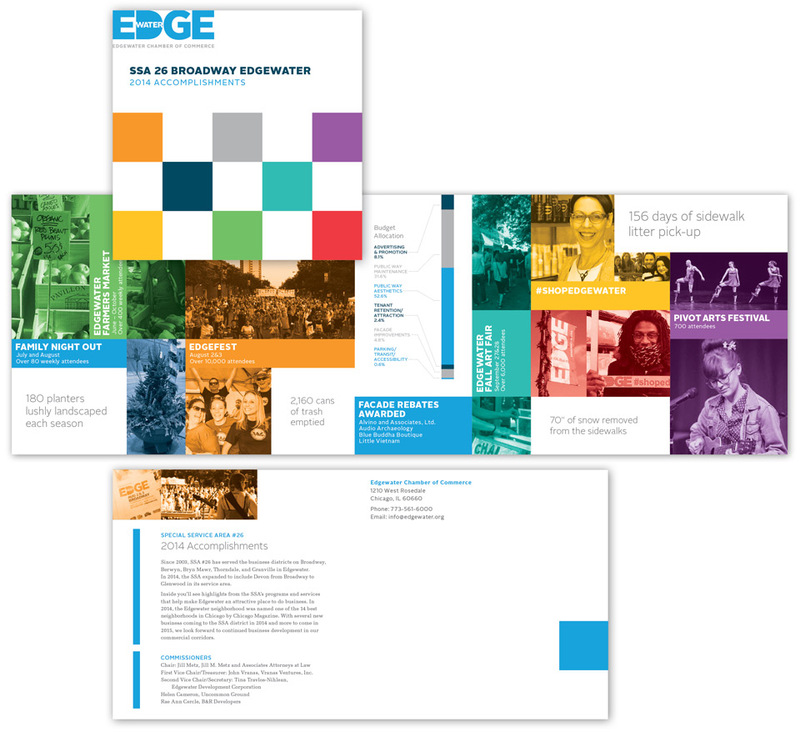 The Edgewater Chamber produces an annual neighborhood report to create awareness of its activities benefiting area businesses and residents. We designed the 2014 report as a clean full-bleed infographic. Our design took advantage of a unique opportunity to use branded color as an informational design element. The “barrel roll” trifold design engages viewers with thoughtfully juxtaposed information and imagery as the report is opened.